Respect our Community! Stop the Motorway! Last weekend we in the Tamaki branch of the ISO went to support the handing over of a petition containing 4000 signatories at the Mangere Festival. The Respect our Community! Stop the Motorway! campaign is headed by veteran activist and MANA member Roger Fowler. Local Labour MP Su’a Williams Sio spoke in support of stopping a massive transport motorway from destroying many people’s houses, schools, kohanga reo, ECE, churches and other community centres. This motorway is being fast tracked so construction can start before elections and not many people know about it. It is a disgraceful situation. We will know by February which of the preferred option of 4 routes for the construction will be used. Three of the proposed routes will cut through a highly working-class, low cost housing area; driving people even further South and destroying communities. 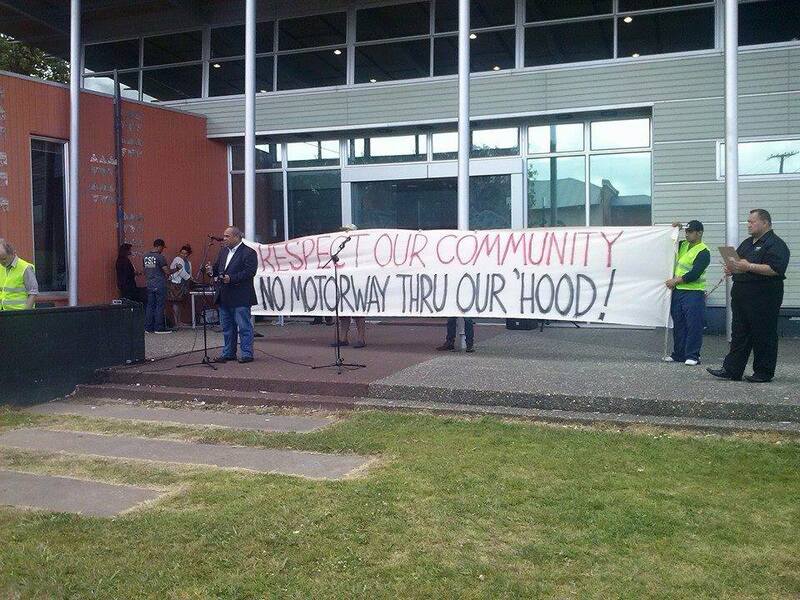 On Anniversary Weekend there will be a protest/rally in Mangere. Stop John Key! Stop the Motorway! 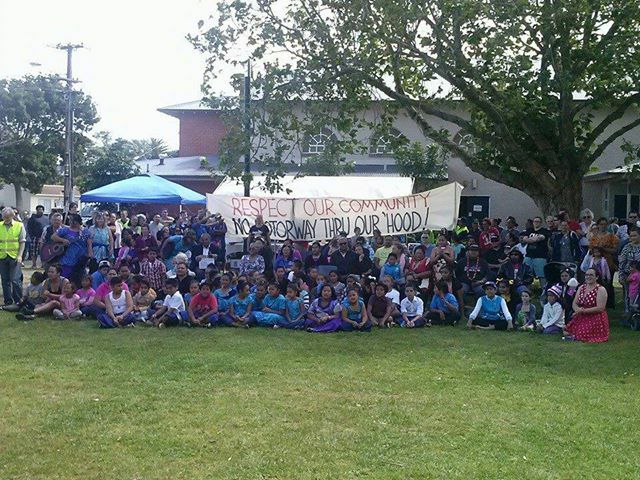 All power to Mangere and Otahuhu residents!